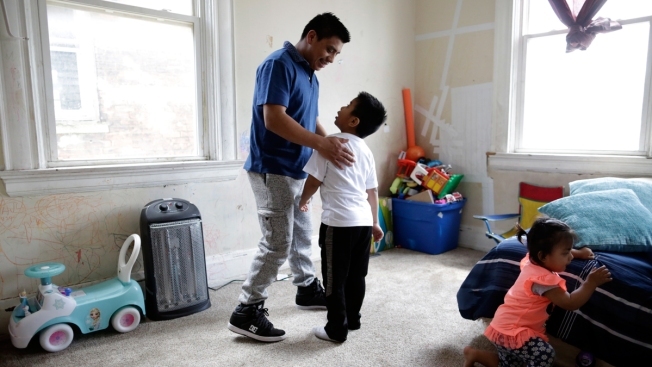 In this April 28, 2018, file photo, Edgar Perez Ramirez, left, stands with his 4-year-old son, Franco, in their home in Covington, Ky. Perez left San Marcos, Guatemala, for Kentucky after his father was killed. He was heading to work when agents stopped and arrested him in December. It had taken a decade for Brandon Tomas Tomas to establish a life in America: a wife, a steady job and five American-born children. It took 20 seconds for that life to be taken away. An immigration officer waiting for someone else spotted him and asked an innocuous question: "Cómo estás?" How are you? Then he asked whether Tomas had papers. 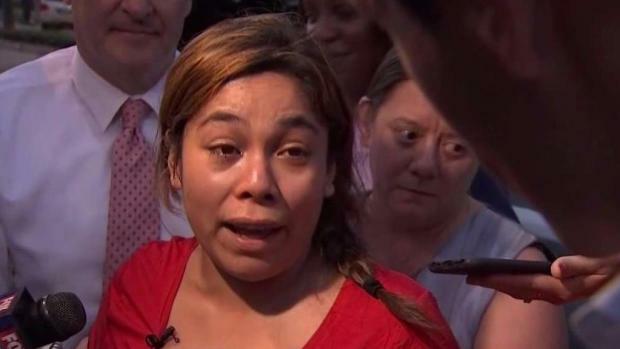 In a flash, the 33-year-old Guatemalan was in handcuffs, in the custody of U.S. Immigration and Customs Enforcement, headed to jail and probable deportation. Many miles away from the U.S.-Mexico border, authorities are separating families in raids that target immigrants at home and at work, conducted in the name of public safety. Most of these raids go unnoticed outside of the communities affected, but they are integral to the Trump administration's broader crackdown on immigration that is leading to more arrests, particularly of people with no criminal records. Over two days in five towns across northern Kentucky, agents staked out homes before sunup, stopped men heading for jobs, went to warehouses like the one where Tomas had worked for more than a year. 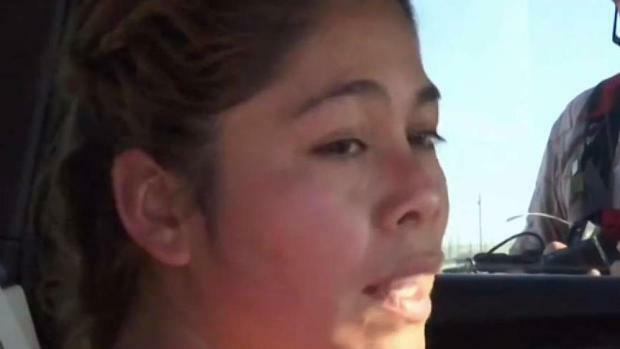 By ICE's accounting, 20 men and two women were picked up. Families barely getting by lost their only breadwinner. Left-behind wives didn't know how to hire a lawyer or how they would afford bonds. Volunteers passed out cash so that bills got paid. Children needed meals, clothes and rides to school, and one school consultant says three students came to her, talking about suicide. It was still dark out in December when a car pulled up as Edgar Perez Ramirez headed for work. At first, the ICE agents asked about someone else. Then they inquired about his status, learned he was in the U.S. illegally and took him to jail. Immediately after, his partner, Carmelinda, stopped leaving their apartment to buy food. Their 4-year-old son, Franco, stayed home from preschool for 15 days because Carmelinda was afraid to take him. At first, she told the boy that his father had gone away for work. Eventually, Franco started to ask why his father hadn't come home. Six weeks later, an immigration judge agreed to release Perez on bond, because he didn't have a criminal record. His brothers and friends chipped in for the $2,000. Most days, Carmelinda stays shut up in the apartment with their 1½-year-old daughter, too scared still to go to the grocery store or ride the bus. Perez finds work where he can, but, he says, "We continue with fear." Operations like this one are not new; ICE conducted at least four in Kentucky under the Obama administration, which in its early years arrested far more people annually than the Trump administration has so far. By the end of the Obama administration, ICE was instructed to prioritize arresting people who had committed serious crimes, were considered national security threats, or had been ordered recently to leave the country for immigration violations. An executive order issued by Trump changed those priorities, effectively declaring any immigrant in the U.S. illegally subject to arrest . "Do I feel bad about the plight of some of these people?" Thomas Homan, ICE's acting director until his recent retirement, said in an interview with The Associated Press. "I certainly do. I'm human. I'm a father. But I have a job to do." But advocates question whether the raid was worth it, given the suffering they see even now. 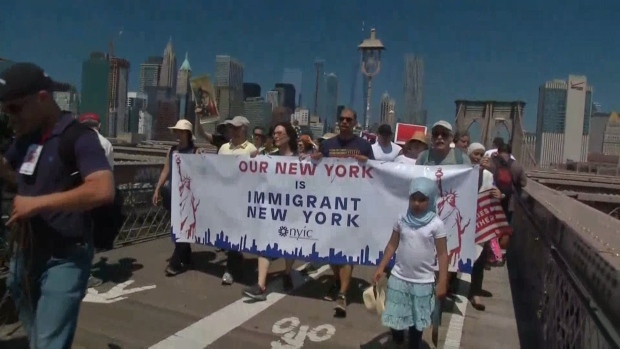 "We don't know what's going to happen in the future, because we're still dealing with four or five families that really don't have the person who's a breadwinner at home," says Don Sherman of the local Immigrant Dignity Coalition, who found lawyers to take cases and handed out grocery store gift cards to affected families. By his count, those arrested had 19 children, most of them U.S. citizens. Most of the families have little hope of being reunited here, so they have started thinking about a future outside of the U.S.
Alma Vazquez is Tomas' wife. Though he's from Guatemala, she's from Mexico. They met working at a Brazilian restaurant. Their five children have never visited Mexico or Guatemala. In either country, they'd likely be marks for gangs that assume people returning from the United States have money. But for Vazquez, getting her husband back and keeping her family together is all that matters. "I tell them it's our turn," she says, "because your father is going to go. If you want to be with your father, you have to go to him." Associated Press journalists Gregory Bull, Manuel Valdes, Kate Brumback, Dylan Lovan, John Minchillo and Sonia Perez D. contributed to this report.